In this easily accessible, user-friendly volume, respected economist David R Henderson brings together 152 of the most brilliant minds in economics to show how the analysis of economic topics can illuminate many aspects of the average person's daily life. 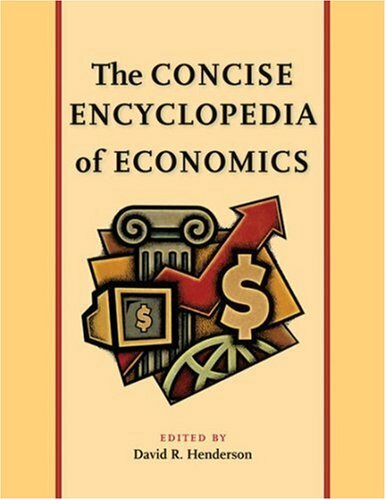 A primer in economics that includes the best economic writing, arranged by topic to cover the division of labor, prices, profits, property, competition, saving and investment, antitrust, money and banking, advertising and marketing, and more. This textbook on economics centers around student needs and expectations. Students learn best from an inductive approach, in which they are first confronted with a problem, and then led through the process of solving that problem. The author states the principles of economics in such form that they shall be comprehensible to an educated and intelligent person who has not before made any systematic study of the subject. The book does not gloss over difficulties, though. A textbook for a new high school course in economics. In addition to the traditional topics of microeconomics and macroeconomics, this textbook covers three increasingly important subject areas: growth theory, finance, and information economics.